"In loving, the husband and wife must turn the attention to each other, as happens in natural family planning, and not to self, as happens in contraception. Once that living love is destroyed by contraception, abortion follows very easily." As I mentioned in the beginning of Lent, one of the books I chose to read was Heart of Joy by Blessed Mother Teresa. The following is found on page 78 and I thought it meaningful as we attempt to cleanse ourselves before Easter. "This year we ought to prepare a manger of poverty. It will be easy to fill up with charity. We are convinced that we know each other very well personally. Our lives belong to God--why spend so much time analyzing ourselves? Our souls should be like a transparent crystal through which God can be perceived. This crystal is sometimes covered with dirt and dust. To remove this dust we carry out our examination of conscience, in order to obtain a clean heart. God will help us to remove that dust, as long as we allow him to, if our will is that his will come about. Perhaps this is what we have lacked. Our duties, our attitude toward our neighbor, our contacts, can offer us matter for reflection. If we carry out our examination without anything to divert our attention, we will realize that we need Jesus to help us discover our unfaithfulnesses. Our examination of conscience is the mirror we focus toward nature: a human test, no doubt, but one that needs a mirror in order to faithfully reflect its faults. If we undertake this task with greater faithfulness, perhaps we will realize that what we sometimes consider a stumbling block is rather a rock we can step on." Lenten Poll Results - How Often Do You Go to Confession? Thank you all for voting. A new poll starts tonight. "Now I realize that true charity consists in putting up with all one's neighbor's faults, never being suprised by his weakness, and being inspired by the least of his virtues." Realizing, dearest Mother of Perpetual Help, that thou art our perpetual help not only in spiritual but also in temporal necessities, we approach thee with submissive and humble hearts because we have a child-like and affectionate trust in thy power and goodness, beseeching thee to assist us in or present financial worry. 'Owing to untoward circumstances which have arisen in our lives, we are in dire want and pecuniary embarrassment, being unable to meet our honest debts. We are not asking, dearest Mother of Perpetual Help, for wealth, if the possession of it is not in accordance with the holy will of God. We merely beg of thee that assistance which will enable us to satisfy our most pressing obligations. We believe, Dear Mother of God, that thou art the Queen of heaven and earth, and as such, the instrument and special dispenser of thy divine Son's graces; that thou hast acquired by virtue of thy wonderful dignity, a sweet jurisdiction over all creation. We believe that thou art not only rich and bountiful, but extremely kind and generous to all thy loving and devoted children. We plead with thee, therefore, dear Mother, to obtain for us the help we so urgently need in our present financial difficulty. 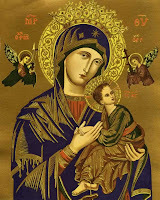 We thank thee, dear Lady of Perpetual Help, and promise. to publish far and wide, the glories of thy miraculous picture. Amen. 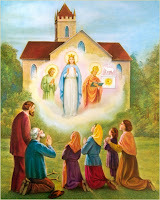 In my family, it is traditional to pray to end abortion on Fridays. Thank you Sue! Jesus, Mary and Joseph, I come to pray for every mother who is today considering the termination of the life of her unborn child. Grant her the courage and grace to persevere, so that the child already living, will be born safely. I pray also that those who support, encourage, promote or perform abortions may be granted a conversion of mind and heart. Finally, I pray for all those who have been hurt by the tragedy of abortion. Pray one Our Father....One Hail Mary....One Glory be. BAPTISM OF THE UNBORN AND THE UNBAPTISED OF THE WHOLE WORLD UNTIL THE END OF THE WORLD. 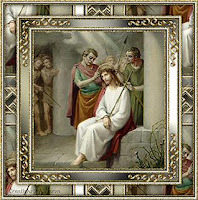 I baptise all people who are not baptised, with the holy water and the Precious Blood, and make the sign of the cross 3 times on my forehead. The holy water must flow over my forehead: In the name of the Father and of the Son and of the Holy Spirit, Amen. I baptise those unborn in their mother's womb with the Precious Blood and the tears of blood, and again make the sign of the Holy Cross on by brow +++ and pray for all and with all the Creed, which is the exorcism. "I had to remember that all would be revealed on the Day of Judgement." VATICAN CITY, MARCH 21, 2007 (Zenit.org).- The use of reason is the antidote to false religious myths and relativism, says Benedict XVI. The Pope said this at today's general audience, held in St. Peter's Square. The Holy Father continued with his series of teachings on protagonists in the early Church; today's address was dedicated to St. Justin Martyr. The Pontiff recalled the path of conversion which St. Justin followed: He searched for truth in the various schools of Greek philosophy until he discovered Christianity, which he called the "true philosophy." Benedict XVI added: "In Christianity, in fact, he had found the truth and, therefore, the way to live uprightly. Because of this he was denounced and decapitated around the year 165, under the reign of Marcus Aurelius, the emperor-philosopher to whom Justin had dedicated an 'Apologia.'" The Pope continued: "Justin aims above all to show the divine projects of creation and of salvation brought about by Christ, the 'Logos,' that is, the eternal Word, eternal Reason, creative Reason. "Every person, as a rational creature, participates in the 'Logos,' carrying within himself a 'seed,' and can perceive glimmers of truth. In this way, the same 'Logos,' who had revealed himself as a prophetic image to the Jews in the Old Covenant, had also partially revealed himself, as with 'seeds of truth,' in Greek philosophy. "Thus, Justin concludes, given that Christianity is a historical and personal manifestation of the 'Logos' in its entirety, 'all that is beautiful which has been expressed by anyone, belongs to us Christians.'" The Holy Father explained that Justin marks "the ancient Church's decisive option for philosophy." "Justin, and with him other apologists, took the position of the Christian faith as the God of the philosophers instead of the false gods of the pagan religion," the Pontiff said. "It was a choice for the truth of being versus the myth of traditions." "In an era such as ours," Benedict XVI added, "marked by relativism in the debate on values and on religion -- as well as in interreligious dialogue -- this is a lesson that should not be forgotten." capable of accomplishing. When Saint Paul complained to God of the violence of temptation, God answered, "My grace is sufficient for thee, for strength is made perfect in infirmity." Every virtue in your soul is a precious ornament which makes you dear to God and to man. 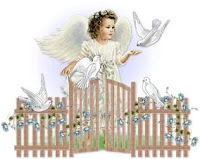 But holy purity, the queen of virtues, the angelic virtue, is a jewel so precious that those who possess it become like the angels of God in Heaven, even though clothed in mortal flesh. 1. A mouse trap, placed on top of your alarm clock, will prevent you from rolling over and going back to sleep after you hit the snooze button. 2. If you have a bad cough, take a large dose of laxatives, then you will be afraid to cough. 3. Clumsy? Avoid cutting yourself while slicing vegetables by getting someone else to hold them while you chop away. 4. Avoid arguments with the Mrs. about lifting the toilet seat by simply using the sink. 5. For high blood pressure sufferers: simply cut yourself and bleed for a few minutes, thus reducing the pressure in your veins. Remember to use a timer. 11. Make peace with your past so it won't mess up the present. Sue shared the following Novena. I have seen it on the internet but I do not know the original source. 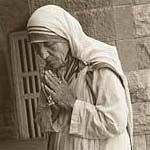 Blessed Mother Teresa needs one more miracle to become a saint. Blessed Teresa of Calcutta, you allowed the thirsting love of Jesus on the Cross to become a living flame within you, and so became the light of His love to all. 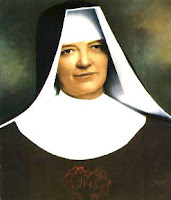 “Charity for each other is the surest way to great holiness.” Ask for the grace to become a saint. I promised my mom I would post this. Please keep my brother Carlos in your prayers as he undergoes surgery tomorrow. We would appreciate it. This poem was first published in The Legion Book (London 1929), and again in G. K.'s Weekly (September 24, 1936).The poem also appeared in Chesterton Review, May 1990 (Vol 16 No 2). Click HERE for the entire poem. Teach me always to appreciate the precious gift of being part of a family. But remind me also to frequently say those words. Let me never part from any member of my family in anger. Prompt me always to turn back without delay - to forgive, and be forgiven. United by your sacrifice on the cross. "Silence does good to the soul." Mom's Humor Break - What Do You Do All Day? A man came home from work and found his three children outside, still in their pajamas, playing in the mud, with empty "food boxes and wrappers" strewn all around the front yard. Proceeding into the entry-way, he found an even bigger mess.... A lamp had been knocked over (broken), and the throw rug was wadded against one wall. In the front room... the TV was loudly blaring a "cartoon channel", and the family room was strewn with toys and various items of children's clothing. In the kitchen... dishes filled the sink, breakfast food was spilled on the counter-top, the refrigerator door was wide open, dog food was spilled on the floor, a broken glass lay under the table, and a small pile of sand was spread by the back door. He quickly headed up the stairs, stepping over toys and more piles of clothes, looking for his wife. He was worried she might be ill, or that something rather serious had happened. He was met with a small trickle of water, as it made its way out from under the bathroom door. As he peered inside, he found wet towels, scummy soap, and more toys strewn over the floor... Miles of toilet paper lay in a heap, and toothpaste had been smeared over the mirror and walls. As he rushed to the bedroom, there he found his wife... still curled up in the bed In her pajamas, reading a novel. She looked up at him, smiled, and asked how his day went. He looked at her, bewildered, and asked, "What the hell happened here today?" She again smiled and answered, "You know every day when you come home from work, and you ask me what in the world I do all day?" She answered, "Well... today I didn't do it." 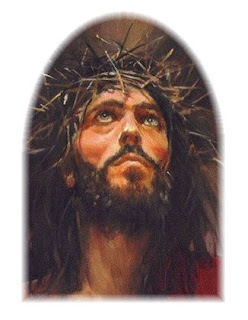 Live in such a way that all may know that you bear outwardly as well as inwardly the image of Christ crucified, the model of all gentleness and mercy. This hour within the cleansing flame. If you memorise this prayer and repeat if frequently during the day you will find it gives you much comfort also for it is a prayer to protect you at the moment of your own death. To learn more about Masses for the Holy Souls, and participating in FOSS, please visit Knock Novena. The above noted prayer has been passed to me by them. 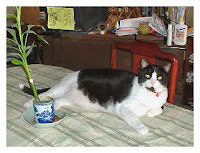 "Even with a small bank account, the one who is contented finds himself with great wealth"
Why Can't Our Cat Do this? Because she'd rather be lounging. The following is from Part I Conversion, Chapter 9 of My Daily Bread by the Confraternity of the Precious Blood. ...You do not remain in the same state of mind for any length of time. Your moods and attitudes change with the changing hours of the day. If you would only turn to Me! I can help you rise above these changing moods. Let your heart turn to Me and find its rest in Me. The good Lord will give you grace and his Holy Spirit and He will bless your humility; but I wish you would learn to love the cross with all your heart, in whatever form or manner it comes. Isn't it amusing that this caught the attention of the media such is the case with Fox News Their caption read "Pope: Hell Is a Real Place Where Sinners Burn in Everlasting Fire"
ROME, MARCH 26, 2007 (Zenit.org).- Hell consists in closing oneself off from the love of God, and sin is the true enemy of the human person, Benedict XVI says. The Pope made that comment on Sunday when celebrating Mass at the Parish of St. Felicity and Martyred Sons in the northern sector of the Diocese of Rome. "If it is true that God is justice, then we should not forget that he is above all love; if he hates sin it is because he has an infinite love for all human beings," the Holy Father explained. The Pontiff reflected on the Gospel account of the day's liturgy. It dealt with the adulterous woman who was to be stoned to death, but who was saved and forgiven by Jesus. Benedict XVI stated: "Jesus does not start a theological debate about the law of Moses; he is not interested in winning an academic dispute on an interpretation of the Mosaic laws. 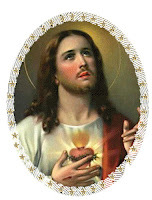 His objective is to save a soul and reveal that salvation can be found only in the love of God. "Jesus came to tell us that he wants us all in heaven and that hell, of which so little is said in our time, exists and is eternal for those who close their hearts to his love. "Therefore even in this episode, we understand that our true enemy is our attachment to sin, which can lead us to failing our existence." 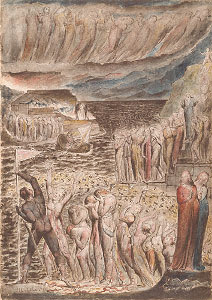 Recalling that Jesus sent the adulterous woman away with the words, "go and sin no more," the Pope explained, "Only God's forgiveness and his love, received with an open and sincere heart, give us the strength to resist evil and to sin no more, to let us be touched by God's love which becomes our strength." Benedict XVI concluded, "Jesus' attitude thus becomes a model to be followed by all communities, called to make love and forgiveness the pulsating heart of their lives." According to Sacramentum Caritatis, the United States Council of Catholic Bishops (and other bishop’s conferences) should re-think delaying confirmation until after first communion, and should consider whether it is more appropriate to follow the model of eastern Rite Catholics and have confirmation before first communion. 18. In this regard, attention needs to be paid to the order of the sacraments of initiation. Different traditions exist within the Church. There is a clear variation between, on the one hand, the ecclesial customs of the East (50) and the practice of the West regarding the initiation of adults, (51) and, on the other hand, the procedure adopted for children. (52) Yet these variations are not properly of the dogmatic order, but are pastoral in character. Concretely, it needs to be seen which practice better enables the faithful to put the sacrament of the Eucharist at the centre, as the goal of the whole process of initiation. In close collaboration with the competent offices of the Roman Curia, Bishops’ Conferences should examine the effectiveness of current approaches to Christian initiation, so that the faithful can be helped both to mature through the formation received in our communities and to give their lives an authentically eucharistic direction, so that they can offer a reason for the hope within them in a way suited to our times (cf. 1 Pet 3:15). 19. 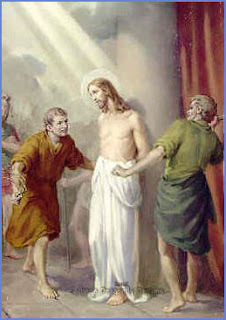 It should be kept in mind that the whole of Christian initiation is a process of conversion undertaken with God’s help and with constant reference to the ecclesial community, both when an adult is seeking entry into the Church, as happens in places of first evangelization and in many secularized regions, and when parents request the sacraments for their children. In this regard, I would like to call particular attention to the relationship between Christian initiation and the family. In pastoral work it is always important to make Christian families part of the process of initiation. Receiving Baptism, Confirmation and First Holy Communion are key moments not only for the individual receiving them but also for the entire family, which should be supported in its educational role by the various elements of the ecclesial community. (53) Here I would emphasize the importance of First Holy Communion. For many of the faithful, this day continues to be memorable as the moment when, even if in a rudimentary way, they first came to understand the importance of a personal encounter with Jesus. Parish pastoral programmes should make the most of this highly significant moment. 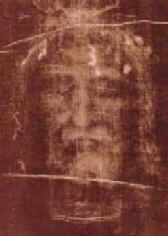 Picture is from the Holy Shroud of Turin. O Blessed Face of my kind Savior, by the tender love and piercing sorrow of Our Lady as she beheld you in your cruel Passion, grant us to share in this intense sorrow and love so as to fulfill the holy will of God to the utmost of our ability. Amen. 1. I will grant them contrition so perfect, that their very sins shall be changed in My sight into jewels of precious gold. 2. None of these persons shall ever be separated from Me. 3. In offering My Face to My Father, they will appease His anger and they will purchase as with celestial coin, pardon for poor sinners. 4. I will open My Mouth to plead with my Father to grant all the petitions that they will present to Me. 5. I will illuminate them with My light. I will consume them with My love I will render them fruitful of good works. 6. They will, as the pious Veronica, wipe My adorable Face outraged by sin, and I will imprint My divine Features in their souls. 7. At their death, I will renew in them the image of God effaced by sin. 8. By resemblance to My face, they will shine more than many others in eternal life and the brilliance of My face will fill them with joy. These inestimable promises are drawn from the works of St. Gertrue, of St. Mechtilde, and from the writings of Sister Maria de Saint-Pierre, a Carmelite who died at Tours, in the odor of sanctity. Washing of Women's feet is completely forbidden by the Apostolic See. This is reserved to men, preferably twelve of number, thus it symbolizes the twelve apostles. Remember the special prayers for the Roman Canon are adjusted for Holy Thursday. The crucifix should be covered in a red or black material. Also, the baptismal founts are drained on this day until the evening of the Easter Vigil. This is the only day of the liturgical year in which Mass is not, and is prohibited from being celebrated. A Liturgy of the Word with Communion is done by a priest with the special rite prepared in the Sacramentary. 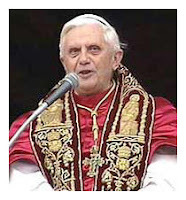 Holy Father Benedict XVI permits black to replace the red in the Liturgy of the Word, but red most be work for the Rite of Holy Communion. A cope is appropriate for the Liturgy of the Word, and is permissible for the Communion Rite. This distinguishes Mass from Communion Services. Readings should not be cut out. While the rubrics opt for this, it is suggested that all be read. The Easter Vigil is the most important vigil in the Church and the readings "portray the whole history of human salvation, from the time of Adam to Jesus Christ." (PBXXI) Thus, shortening the rite is ridiculous. Remember the special prayers for the Roman Canon are adjusted for this feast day. 3. If we consider the bimillenary history of God’s Church, guided by the wisdom of the Holy Spirit, we can gratefully admire the orderly development of the ritual forms in which we commemorate the event of our salvation. BTW, time is running out if you haven't been to confession. The last day confession will be available in some churches is next Wednesday. Check with your parish or a nearby church as most parishes are offering Penance Services around this time. If not, please call the church and make an appointment with a priest to go to confession. 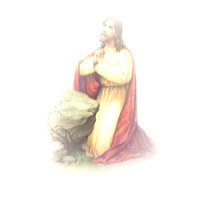 Let's meet the risen Christ with a clean heart and a fresh start! "Did she say that? Yes, she did. 'I go to Las Vegas more often than I go to Confession!' Quite a statement and she meant it. Let's look at Confession from another angle. What would your house or apartment look like if, for the last nine to twelve months you hadn't run the sweeper, you hadn't dusted, you hadn't picked anything off the floor? What a mess you would be living in! Now, parallel your soul with your house. What is your soul like if you haven't touched it up for nine to twelve months by going to Confession?" Try to have the teaching of the Church clear in your mind. A mother says: 'I don't go to Confession any more because I really didn't do anything too wrong.' That statement indicates lack of information. We do not go to Confession just to get out of sin. We go to Confession to stay out of sin. 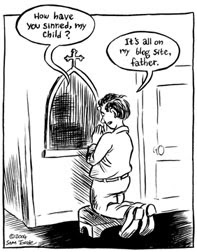 Each time we receive the sacrament of Reconciliation we strengthen yourself so we will not fall into serious sin. Why do we eat good food and drink special juices? So we will not have a physical setback. People say: 'Watch that junk food. You will ruin your stomach!' 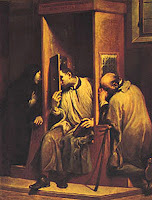 We go to Confession on a regular basis so we will not have a spiritual setback." How many times have you had the car washed since you went to Confession? How many times have you taken a shower or a bath since you shined up your soul by going to Confession? Isn't it amazing how holy we suddenly became as Catholics in recent years? In two parishes each with over a thousand families, there was not one Confession Saturday afternoon, not one Confession Saturday night. Maybe some of us have lost our sense of sin. What did Christ did for? For my sins and for your sins. There must be some sins around or Christ was the biggest fool Who ever came on this earth to end up hanging on a cross. 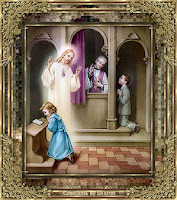 Try to receive the Sacrament of Reconciliation, the Sacrament of Penance, every few months. Say to a friend who has drifted away: 'I'll pick you up. We'll go to Confession together.' That's all that some people need to come home to God. 'For the Son of Man came to seek and to save what was lost.' Luke 19, 10. Picture from the Gefroh Family Collection of Rosary pictures. 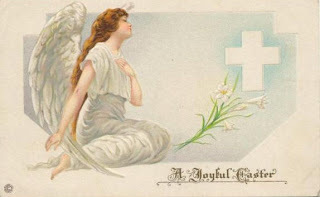 Because this solemnity falls on a Sunday, it will be celebrated on Monday March 26th. H/T to Mary Ann S for the Novena. 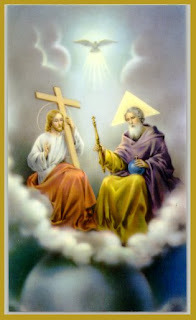 of your beloved Son, our Lord Jesus Christ, by which our salvation was so happily begun, obtain for us light to understandthe benefit He has bestowed on us vouchsafing to become our brother, and in giving us you, His own most beloved Mother, to be our Mother also. Amen. ending nine days later, on Monday, April 2nd. The Prayer asking Our Lady of Guadalupe's intercession in protecting the preborn babies is attached. Please say it March 25th through April 2nd. 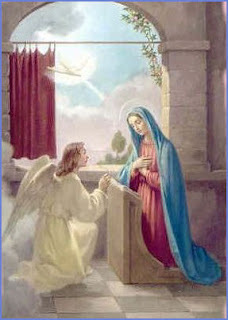 "Pray for preborn babies on Feast of the Annunciation." Jeremy was born with a twisted body and slow mind. At the age of 12 he was still in second grade, seemingly unable to learn. His teacher, Doris Miller, often became exasperated with him. He would squirm in his seat, drool and make grunting noises. At other times, he spoke clearly and distinctly, as if a spot of light had penetrated the darkness of his brain. Most of the time, however, Jeremy irritated his teacher. One day, she called his parents to come to St. Theresa’s for a consultation. As the Forresters sat quietly in the empty classroom, Doris said to them, "Jeremy really belongs in a special school. It isn't fair to him to be with younger children who don' t have learning problems. Why, there is a five-year gap between his age and that of the other students!" Doris sat for a long time after they left, staring at the snow outside the window. Its coldness seemed to seep into her soul. She wanted to sympathize with the Forresters. After all, their only child had a terminal illness. But it wasn't fair to keep him in her class. She had 18 other youngsters to teach, and Jeremy was a distraction. Furthermore, he would never learn to read and write. Why waste any more time trying? As she pondered the situation, guilt washed over her. "Oh God," she said aloud, "here I am complaining when my problems are nothing compared to that poor family! Please help me to be more patient with Jeremy!" From that day on, she tried hard to ignore Jeremy's noises and his blank stares. Then one day, he limped to her desk, dragging his bad leg behind him. "I love you, Miss Miller," he exclaimed, loud enough for the whole class to hear. The other students snickered, and Doris’ face turned red. She stammered, "Wh-why that's very nice, Jeremy. N-now please take your seat." "Yes, Miss Miller!" the children responded enthusiastically - all except for Jeremy. He just listened intently; his eyes never left her face. He did not even make his usual noises. Had he understood what she had said about Jesus' death and resurrection? Did he understand the assignment? Perhaps she should call his parents and explain the project to them. That evening, Doris' kitchen sink stopped up. She called the landlord and waited an hour for him to come by and unclog it. After that, she still had to shop for groceries, iron a blouse and prepare a vocabulary test for the next day. She completely forgot about phoning Jeremy's parents. In the first egg, Doris found a flower. "Oh yes, a flower is certainly a sign of new life," she said. 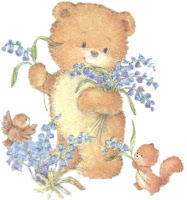 "When plants peek through the ground we know that Spring is here." A small girl in the first row waved her arm. "That's my egg Miss Miller," she called out. Then Doris opened the fourth egg. She gasped. The egg was empty! Surely it must be Jeremy's, she thought, and of course, he did not understand her instructions. If only she had not forgotten to phone his parents! Because she did not want to embarrass him, she quietly set the egg aside and reached for another. Suddenly Jeremy spoke up. "Miss Miller, aren't you going to talk about my egg?" Flustered, Doris replied, "But Jeremy - your egg is empty!" He looked into her eyes and said softly, "Yes, but Jesus' tomb was empty, too!" Time stopped. When she could speak again, Doris asked him, "Do you know why the tomb was empty?" "Oh yes!" Jeremy said, "Jesus was killed and put in there. Then His Father raised Him up!" This is a true story, the names have been changed for sake of privacy. Ida Mae Kempel is a free-lance writer from Alameda, California. This article appeared in Focus on the Family, April, 1988, and is used here by permission of the author. 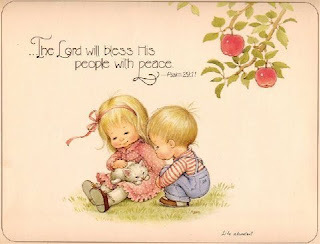 Copyright © 2006, Christian Resource Institute, All Rights Reserved. New blog I visited today had reasons why we should stop liturgical abuses.